The Mississippi Delta, with its fertile soil and water-rich surroundings, is home to several types of bugs, including both beneficial and invasive species. Agriculturists and researchers are working to pinpoint the best control methods for invasive species, while the beneficial bugs work to control undesirable bug populations. The Mississippi Delta is the northwestern region of Mississippi and spans 19 counties. The area was created by repeated flooding over thousands of years. This repeated flooding deposited a range of minerals into the ground, making the Mississippi Delta home to some of the Earth's most fertile soil. Set between the Mississippi and Yazoo rivers, the Mississippi Delta is rich with aquatic and soil-based nourishment, making it favorable to a variety of wildlife, including bugs. The kudzu bug is an invasive species affecting much of the Southeast and many areas of the Mississippi, including the Delta. Only discovered in the United States about a decade ago, agriculturists are still working on the most effective kudzu bug control methods. The bug is known to disrupt soybean plants and kudzu plants. The United Soybean Board worked with several universities to assemble a user's guide for growers on how to handle kudzu bug infestation. Eastern lubber grasshoppers also live in the Mississippi Delta. Limited to the southeastern and southcentral United States, they are easily recognizable with their distinct yellow color and large bodies, measuring up to three inches long. They are clumsy critters; this is reflected in the "lubber" portion of their name, derived from a word meaning clumsy or lazy. Eastern lubbers have wings, but cannot fly and can only jump short distances. They generally live in fields and wooded areas and along roadsides. 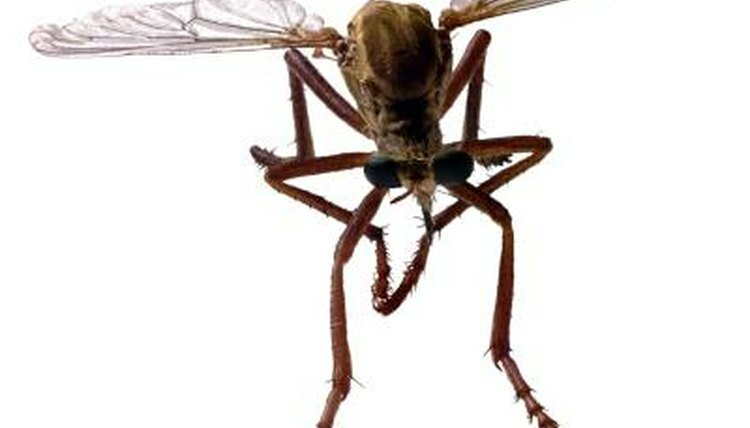 The robber fly is found in many areas of North America, including the Mississippi Delta. These flies have white, black, gray or brown coloring and measure about a half inch or slighter longer. Robber flies eat beetles, wasps and other prey, chasing them in flight, capturing them and then sucking out their insides. Robber flies are usually considered beneficial, except when they feed on other beneficial bugs. Adult robber flies can inflict a painful bite. Leaf-footed bugs are herbivores, feeding on plant juices. They average about one-half inch in length and are found in brown, red, gray, black, yellow and orange tones. These bugs are found in a number of states -- mostly in the southern United States, including Mississippi. These bugs have solid defense mechanisms, including making a loud noise when disturbed, and often emitting a foul odor if they feel threatened.